Employers look at their bottom line when weighing the decision of whether or not it makes sense to invest in employees or not. Investing in employees and developing them for leadership roles increases their commitment to the company. Here is why you should invest in your workers. When a company devotes resources to training and development for their employees, employees are more likely to feel valued. They will more likely feel a deeper connection to the employer. They are also more connected to the work they do and are far less likely to require extensive supervision. Loyal employees are more likely to reach out to their network to encourage people to apply with their firm. They will feed you new hires from their networks when openings are introduced. When employees become champions of your business, they will be able to tout the many great things about your business. They will become brand evangelists and market your venture to the business. You want to make sure that your company always has the talent it needs to meet new challenges. By investing in employees, you will grow the talent within your ranks. As the talent within your organization is developed, you will find it that much easier to respond to new industry challenges. You will already have on record what they have learned and can even match their future training initiatives to meet gaps within the ranks as identified. Training and ongoing coaching offers employees the opportunity to tackle the next round of challenges in the industry. One of the costliest investments is recruitment and hiring for most businesses. If a company has to devote resources to constant hiring to attract new hires, then it is missing the mark. 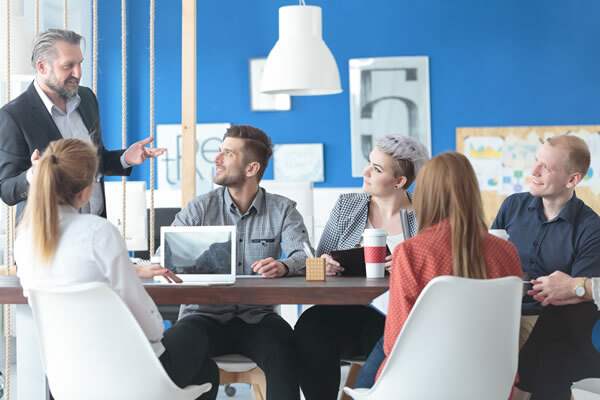 By not investing internally in training and development opportunities for employees, the company has to invest more in advertising and recruiting. Having the talent developed directly from within the organization allows you to sidestep the expensive costs that come with finding new talent. It also reduces the amount of time that has to be devoted to interviewing and vetting candidates. You have the opportunity of increasing employee engagement. Engaged employees contribute more to the organization and require far less supervision. Disengaged employees cost employees over $500 billion each year. One of the biggest drivers of productivity is employee engagement. Investing in training for employees elevates their engagement level. Most businesses recognize how expensive it is to hire new employees for a position. In comparing the costs to retaining talent and developing them to hiring new talent, you will find that you are able to save. Lighthouse Worldwide Solutions has been named the #1 Best Company to Work for many times. Having your company listed on a “top 100” list is an excellent way of communicating to the public that your invested in your employees and that they stick around for a reason. A new employee may have resulted from thousands invested in ads and hours in interviewing time. If that new employee doesn’t remain for a long period of time, the employee has to be replaced, and a new cycle of expenses has to happen again. CEO, Entrepreneur, Author, Martial Arts Great Grandmaster and Expert in Personal Transformation. Dr. Kim’s mission is to inspire you to pursue your dreams and goals with power, passion, and purpose.